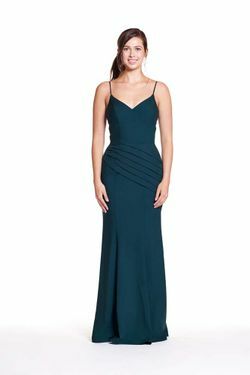 Bary Jay bridesmaid dress style 1875 - Spaghetti strap pleated bodice with sequin neckline and side panels. Pleated A-line skirt and center back zipper. Available in Floral sequins and short length.